The fifth issue of Tiamat, originally published in 1991, was something of a celebration of different styles of writing, with seven short stories by Thomas Ligotti, and new work from Jeffrey Osier, Thomas Wiloch, Wilum H. Pugmire, Allen Koszowski, and many others, as well as reprints from Nietzsche, Faulkner, Poe, H.P. Lovecraft, and Joseph Conrad, plus movie, music and book reviews, all illustrated. There were the full color interiors by H.R. 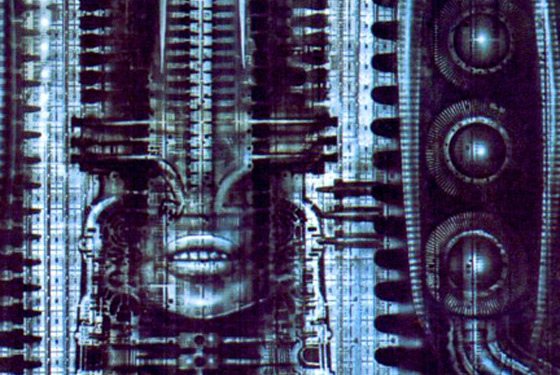 Giger, too. One thousand copies of these were produced, but only some 20 remain. Praised at the time of its release from magazines as disparate as Factsheet Five and Paul Ganley’s Fantasy Mongers, as well as Deathrealm, Tekeli-li!, Scavengers and others. Artwork by H.R. Giger, Allen Koszowski, Thomas Wiloch, and others. Fiction by Wilum Pugmire , Thomas Ligotti , and many others. Essays by Joseph Conrad, H.P. Lovecraft , and William Faulkner.